After a evening hearing BCCI allowed BCCI to disburse Rs 58.66 lakh ahead of the first Test match with England in Rajkot starting tomorrow. Setting stage for a fresh confrontation with the Lodha panel, the BCCI today knocked the doors of the Supreme Court, saying there are no funds for the India-England Test series scheduled to start on October 9 in Rajkot. The BCCI urged the SC to direct the Lodha panel to clear the funds required for the series with immediate effect. The board mentioned the matter before a bench headed by Justice Anil Dave as Chief Justice T S Thakur is heading a constitution bench. Lodha panel says neither the BCCI nor its member-State associations have given any compliance reports or undertakings that they will comply with the recommendations as per the Supreme Court verdict on October 21. It is to be noted that on Saturday BCCI President Anurag Thakur submitted a report to the Lodha Committee on Saturday, saying the board's members have rejected adopting in total the new memorandum of association and rules. Thakur informed the committee that the 30 members opted to instead vote separately for or against each of the committee's recommendations, which were approved by the Supreme Court on July 18 this year. The court has frozen the disbursal of funds from BCCI to State member associations till the latter comply with the panel recommendations. In a severe blow to the financial autonomy of the cash-rich BCCI, a special bench of the Supreme Court led by Chief Justice T S Thakur had on October 21 directed the Lodha panel to appoint independent auditors to scrutinize all high-value contracts entered into by the Board. The bench also said that BCCI shall not release any further funds to state cricket bodies till they promise to implement Lodha panel recommendations. SC also asked BCCI President Anurag Thakur and Secretary Ajay Shirke to give an undertaking of compliance of Lodha panel recommendations. The bench was passing interim orders on a petition filed by Lodha panel seeking removing the entire top brass of the BCCI for its continued defiance vis-à-vis implementation of the Lodha panel reforms. The BCCI row had taken a sudden new twist with the Lodha panel moving the Supreme Court seeking removal of the top brass of the Board , including its President Anurag Thakur and Secretary Ajay Shirke for the continued non-compliance of the directions aimed at sweeping reforms in the structure, functioning and membership to the cricketing body. “Supersede the present office-bearers of the Board of Control for Cricket in India (BCCI) with immediate effect and appoint in their place a panel of administrators to ensure the smooth transition from the old to the new system recommended by the committee”, the report had said. The report accused the BCCI and its office bearers of not complying with directions and repeatedly issuing statements to undermine the authority of the court and the members of the Lodha panel, which had recommended structural reforms in BCCI. On October 7, Chief Justice Thakur made the court's stand clear by ordering that the BCCI will not disburse Rs. 16.73 crore each to 12 State cricket associations. These dozen associations were yet to get the balance payment of their share from nearly Rs. 2,500 crore the BCCI had received towards compensation on account of termination of Champion League T 20. Chief Justice Thakur had directed that the pending Rs. 16.73 crore and any future funds would be released only after the State associations passed resolutions undertaking to comply with the panel's reforms. As for the remaining 13 member State associations who had received Rs. 16.73 crore, they can only use the money after passing their respective resolutions to implement the reforms. The court had made it clear that continued defiance by State associations would witness their shares invested in fixed deposit accounts until they change their minds. The court had barred further disbursal of amounts, courtesy a resolution passed by in the Annual General Meeting held on November 9, 2015 or “any subsequent resolution” by the BCCI or its Working Committee, until the State associations submit their written undertakings to unconditionally comply with the Lodha reforms. 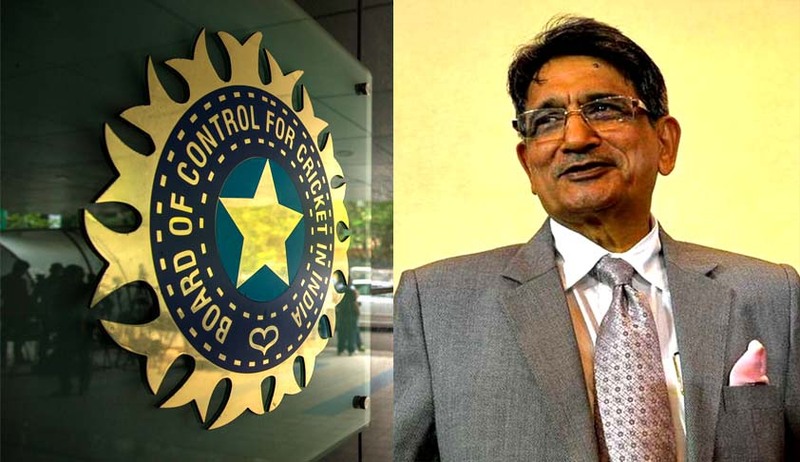 “The sequence of events that have taken place since July 18, 2016 and referred to in the status report [of the Lodha Committee] prima facie give an impression that the BCCI has far from lending its fullest cooperation to the Committee adopted an obstructionist and at times a defiant attitude which the Committee has taken note of and described as an impediment undermining not only the Committee, but even the dignity of this court,” Chief Justice Thakur said in the October 7 order.